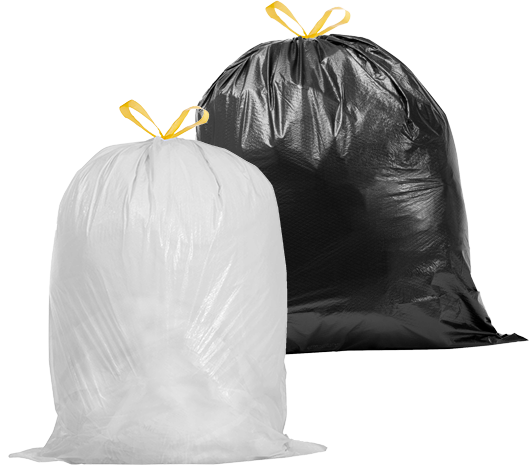 Greencore® Trash Bags get their strength from the two layers of strong virgin plastic surrounding an inner core go up to 70% post-consumer recycled plastic. Our new Diamond Flex® technology increases stretch without losing strength so over-stuffing is never a problem! The last thing you need is the trash falling out of a ripped bag!